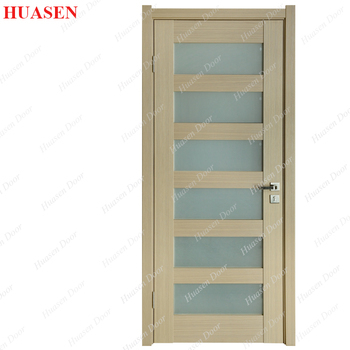 1.The doors has excellent sound insulation function. There are many times when a person might want to reduce the amount of sound coming into or leaving a room. Making a room soundproof involves stopping or reducing sound waves by using certain building techniques or materials. 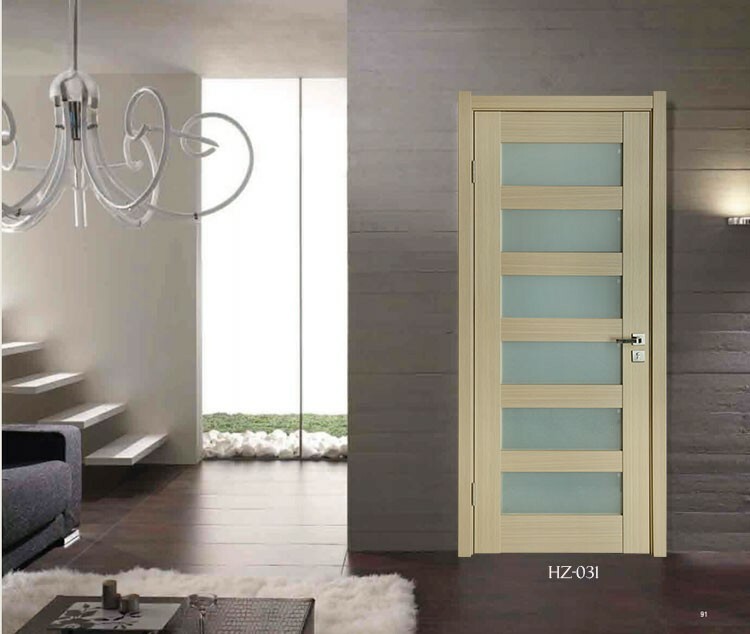 Doors can also contribute to unwanted noise problems. 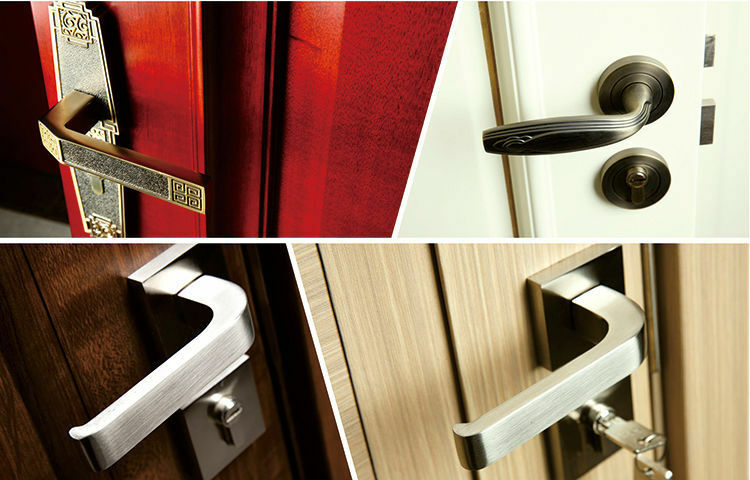 Thick, solid doors will block sound than thin doors. 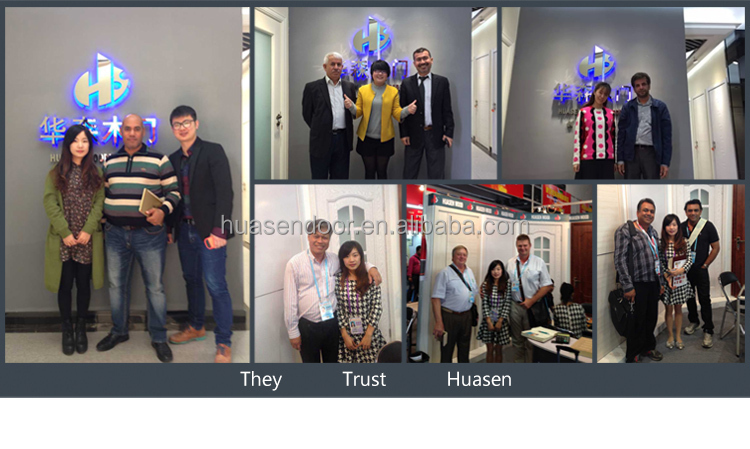 That is the reason why we launch “Assembled MDF Doors” with solid construction, new “edge banding” technology and water resistant function. 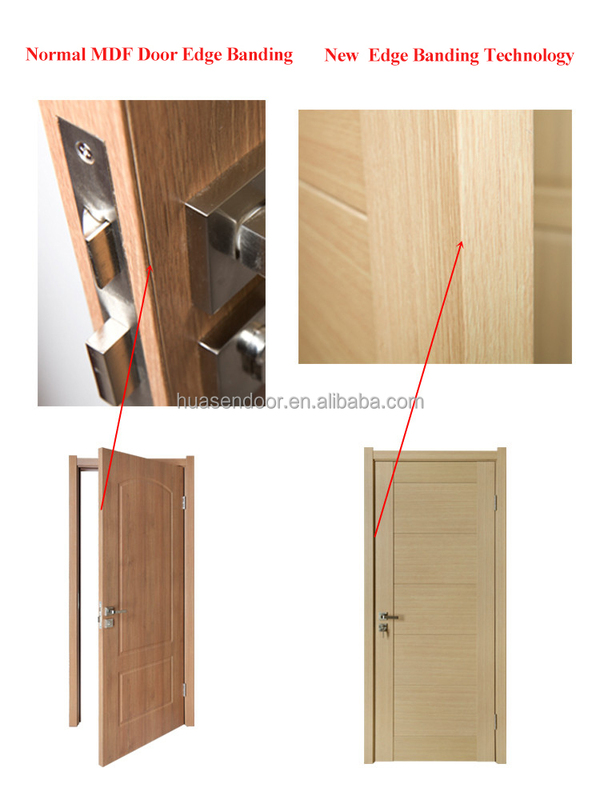 There is a small gap on the front surface of normal MDF door, Assembled MDF door with new edge banding technology makes door smooth on surface. 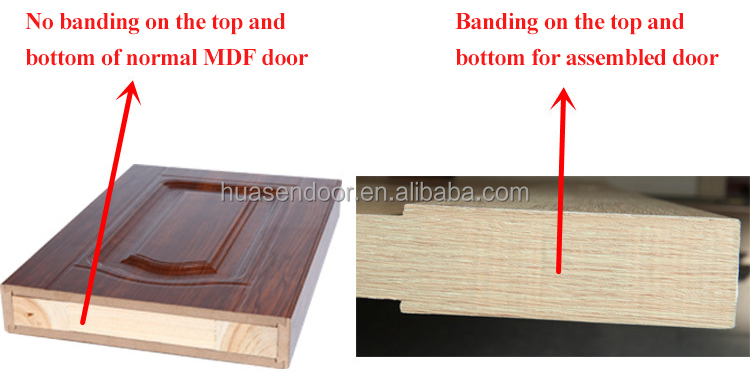 Meanwhile, banding on top and bottom of Assembled MDF door makes door waterproof. 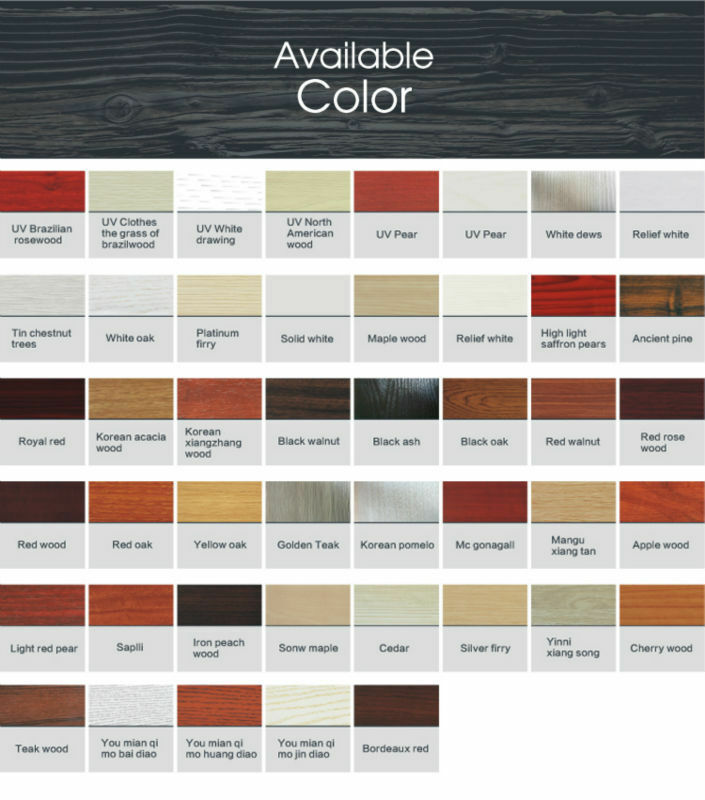 2.The quality of doors partly depends on the thickness of PVC skin. 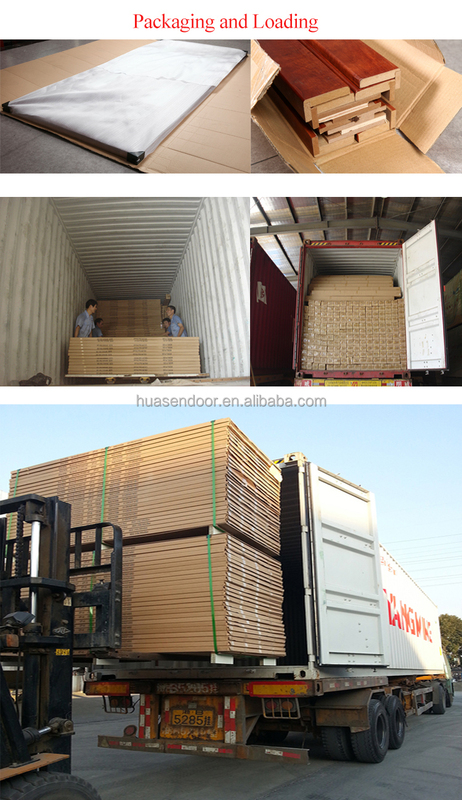 More thick pvc skin,more smooth door surface. 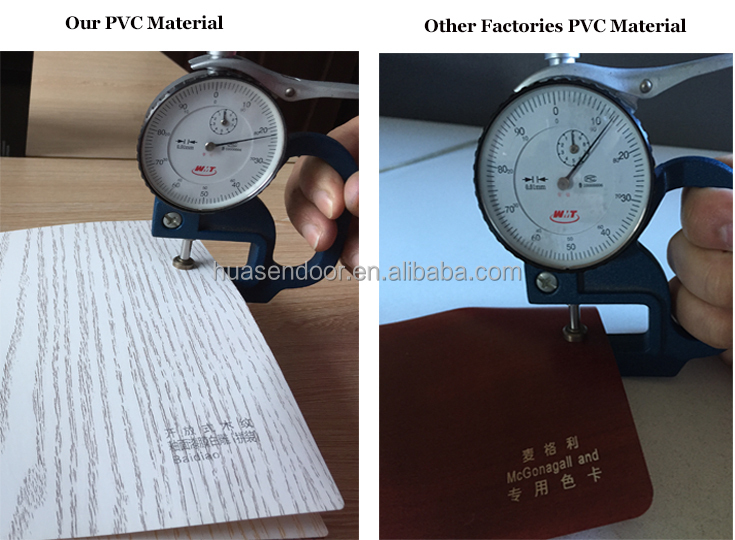 3..We carefully package each product and provide a variety of packaging solutions for our customers.